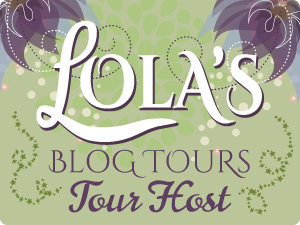 Today is my stop during the blog tour for Captured by Jennifer Chance. I will share my review of the book and there’s a tour wide giveaway. Fans of Meg Cabot’s Princess Diaries will enjoy CAPTURED, a New Adult Contemporary Romance with a modern royals flair by award winning author Jennifer Chance. Lauren Grant is a hard-partying celebutante dedicated to avoiding anything that might tie her down, but Dimitri Korba, the gorgeous and arrogant captain of the Garronia National Security Force and her unwanted bodyguard just might change her mind in this new installment in Chance’s Gowns & Crowns series. For beautiful, pampered Lauren Grant, the idea of love without strings is a fairy tale and a trap. Though she’s skillfully maintained her image as the carefree celebutante, for years she’s been systematically stalked by the richest—and most ruthless—golden boy of the Jet Set. To stay one step ahead, she’s used every resource at her disposal. But now, stuck in Garronia with the whole world watching, she’s finally cornered by her nemesis, with no way out. Well, no way out but one: the stubborn, forceful, impossibly gorgeous captain of the Garronia National Security Force, Dimitri Korba. The first man she’s ever trusted… which makes him the most dangerous man of all. Dimitri Korba’s greatest duty is to keep those in his care safe. Since losing his closest friend, he’s vowed that he will not fail another. Not even the haughty, foolhardy American blonde whom he can’t get out of his mind. And once Dimitri glimpses the terror Lauren hides behind her icily perfect façade, protecting her becomes his only goal. Dimitri has no idea how far his commitment will take him, however, nor how powerful his need for Lauren will flare when she’s not only in his care, but in his arms. With each stolen moment, the danger around them intensifies, burning away every doubt…until all that remains is their fierce, unexpected passion. But will that be enough to save them? Captured is a decent read that will appeal to readers of well-written adult contemporary romantic suspense with a fantasy feel. I adored the world the author created in this book, and we have a very beautiful Mediterranean island setting with an interesting mix of characters and a royalty theme. I enjoyed this author’s writing style and it’s clear she has talent. I had major issues with the pacing of this book, finding it very slow in parts. I almost gave up at the 30% mark, but I persevered, and I’m glad I did because it definitely improved the further I read. There were plenty of scenes that were overly described or unnecessary, and I did find myself skimming sections. At times, this pulled me out of the story which is a shame as the plot is decent. Character development is solid and well-balanced. Both mains were likeable despite obvious flaws. I had no issue rooting for them as a couple and their chemistry was great. The romance was very well-written and there’s a good balance between sweet and steamy. Dialogue was a bit of a mixed-bag. It flowed naturally and smoothly in parts, then it was stiff and cringe-worthy on other occasions. I understand that the author was trying to showcase foreigners speaking English, but it didn’t read well. I felt Dimitri’s conversation was inconsistent in this regard too. He could be so eloquent and almost poetic and then he reverted to stilted language. The plot was interesting in the main, and I’m especially intrigued by the storyline surrounding the missing prince. However, there were parts where it was either predictable, didn’t make sense, or plotlines were too dragged out. I’m not sure it would totally stand up to scrutiny but if you don’t delve too deep then it’ll work. Overall, this was a solid read even though I wasn’t blown away by it. Thanks to Barclay PR and the author for providing a review copy of this book in exchange for my honest review. Be sure to check out COURTED, book #1 in the Gowns & Crowns series by award winning author Jennifer Chance! Aspiring concert violist Emmaline Aurora Grace Andrews is torn between her love of family and her love of music. A year ago, she deferred entering a prestigious graduate program to help her parents recover from a devastating accident. Now the deferment is expiring, but her parents still need her. Worse, every time she plays her audition piece, she mangles it. Is it too late to be the musician she’d always dreamed of? Should she even try? Determined to get clarity, Emmaline accepts a friend’s offer for a whirlwind European vacation. First Stop: a real live fantasy kingdom—the perfect place to sort wishes from reality. Jennifer Chance is the award-winning author of the new adult Rule Breakers series as well as the modern royals Gowns & Crowns series. You can find her online at JenniferChance.com, on Facebook at facebook.com/authorJenniferChance and on Twitter at @Jenn_Chance.